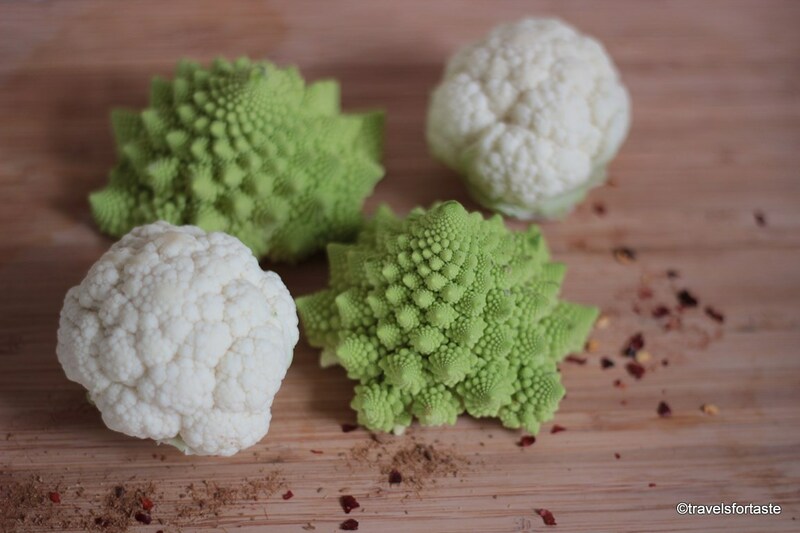 I do hope some of you may recollect me mentioning that Cauliflower is one of my beloved vegetables, and after I found mini cauliflower and mini Romanesque cauliflowers it was love at first sight, in my mind, they run rings around even the baby courgettes and baby leeks! I mean they look like beautiful little green diamonds, such a beautiful shape, almost too pretty to be eaten! 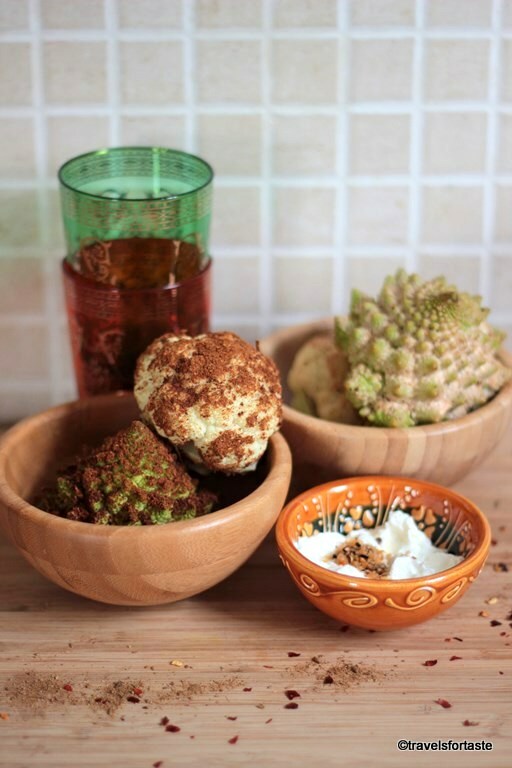 I have been obsessing with the idea of whole roasted Cauliflower and love this recipe – Whole Roast Cauliflower and today I was craving something different for tea. Did not want to load on excess and unwanted calories and wasn’t interested in deep fried stuff at all. I decided to dry roast two cauliflowers and coat two on the four mini cauliflowers just to see how the taste varies when coated with a greek yoghurt marinade. 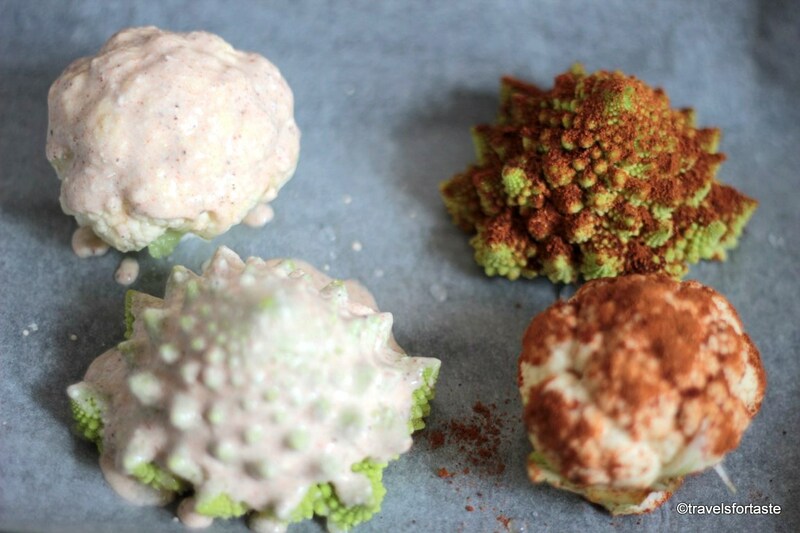 Pick one each of the baby cauliflower and the baby Romanesco broccoli or the Romanesque cauliflower and coat it completely with the seasoned yoghurt marinade. Place them onto a baking tray. 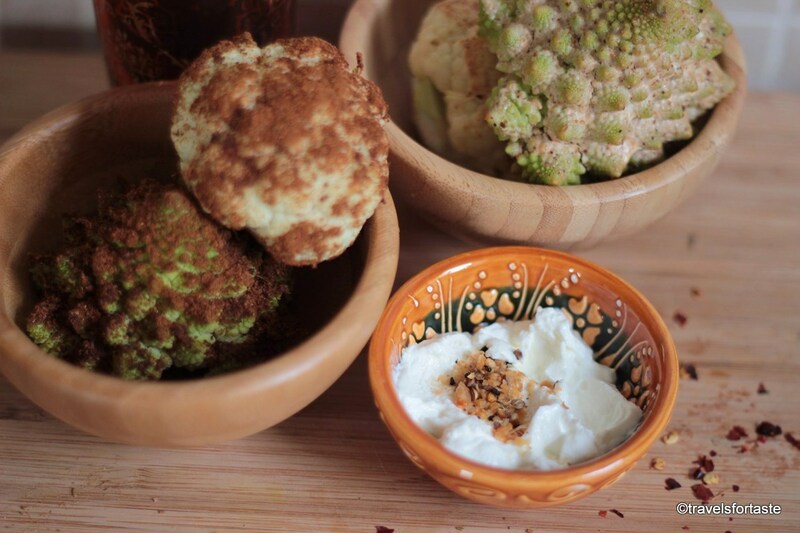 Then take the remaining baharat in another dry small bowl and coat the other 2 cauliflowers thoroughly. Serve with hot Turkish tea for a Mediterranean Treat.